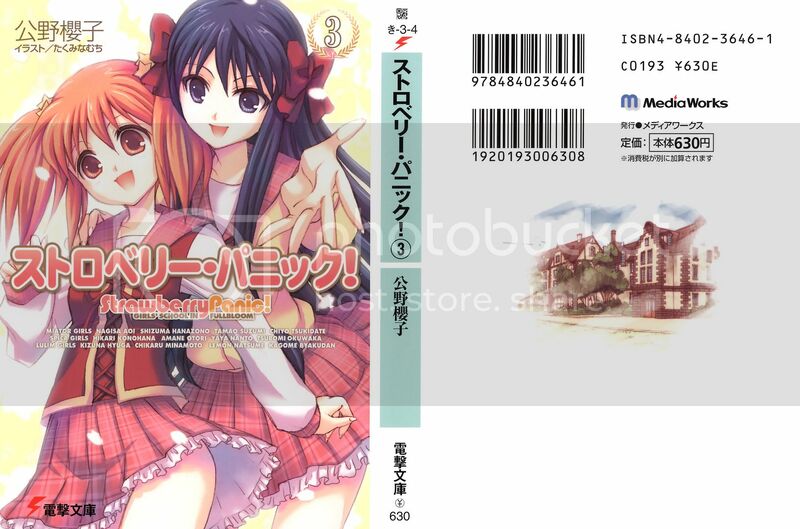 Chikaru and Kizuna from St Lulim on the cover this time =). I DO NOT scan, so I don't claim ANY credits for the scans I've posted, I got them from Yamibo, so please do not ask me where I got my scans again. ... OH MY GOD. 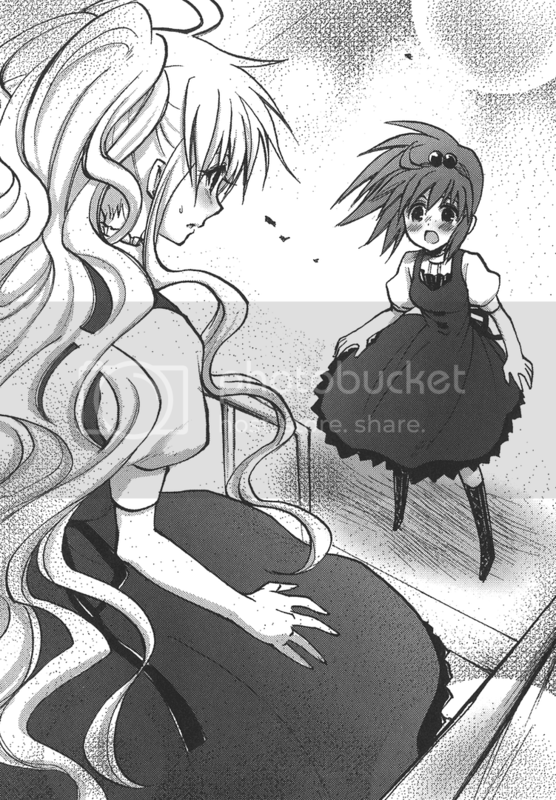 YOU HEARD RIGHT, rather, YOU SAW RIGHT, Volume 3 IS the LAST volume of the Strawberry Panic! Novel. Enjoy, to those who could read Japanese. Dammit, I hate you guys. *Pouts* I want some spoilers~! 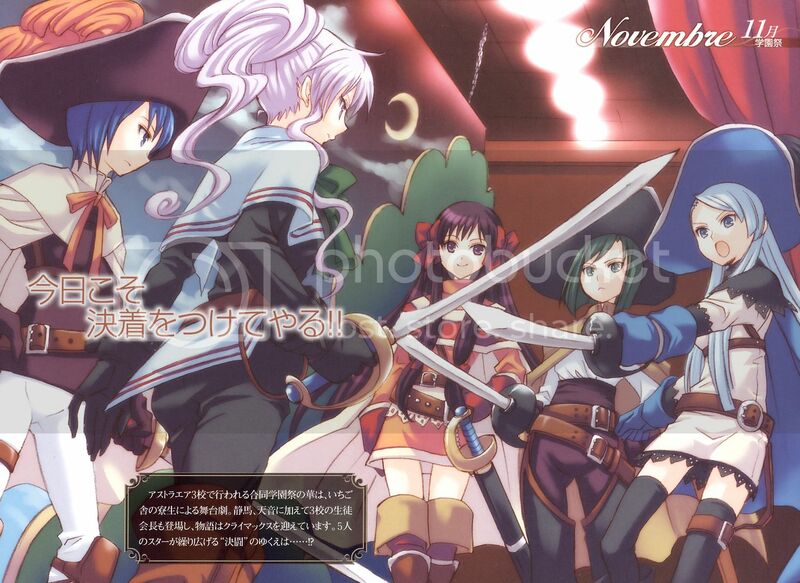 Well, to get the spoilers and comments going, here's two teaser scans I got from the Novel HEH. A pattern on the novel covers, Nagisa x Shizuma on Volume 1, Amane x Hikari on Volume 2 and finally Chikaru x Kizuna on Volume 3 [END]. Btw, this is the 500th post YAY! If you see closely, all the character's eye color are the same as their hair. It's the END of strawberry panic????!!!!!!!! Shijirainai!!!!! How can it end. Some spoilers anyone? Whose the Etoile? Shizuma and Nagisa together? Kizuna and Chikaru??? Seven Sea's, or someone around that name launched a yuri project called "strawberry" and are going to translate it to English. I hope my perverted brain is taking that Amane/Hikari pic out of context, and something totally innocent is taking place. Or not hehe.